In a world where your customers are increasingly bombarded by commercials, does your message stand out? Can you remember what the last billboard you saw was advertising? How about the most recent newspaper, radio or television ad? Now, think of a blimp...what comes to mind? It is a demonstrated fact that people remember blimps when they see them. 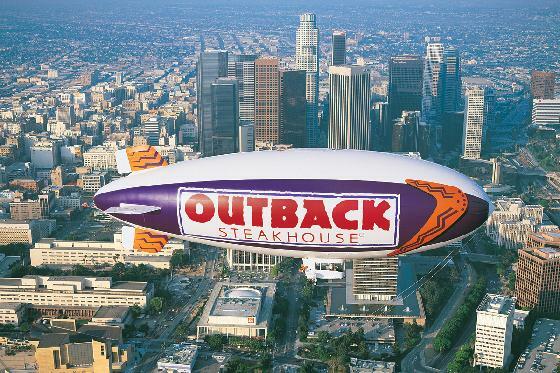 It is no coincidence that the leaders in such diverse fields as financial services, restaurant management, and tire manufacturing have all chosen blimps to get their messages seen - and remembered! In the air or on the ground, day or night, blimps get noticed. Blimps leverage your message by being noticed and commented on by local media wherever they go, and, if used to provide live feeds to broadcast TV, the mentions they get from the networks can provide value exceeding the cost of your airship program! Whether one blimp or more, regionally or nationally, short or long term, Icarus Aircraft can provide your business with a successful airship program tailored to your requirements.